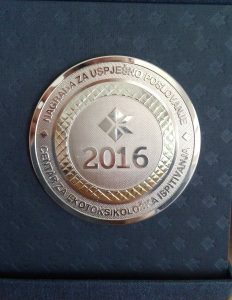 Chamber of Economy awarded most successful companies in 2016., on the ceremony that was held at Vila Gorica on 21 April 2017. 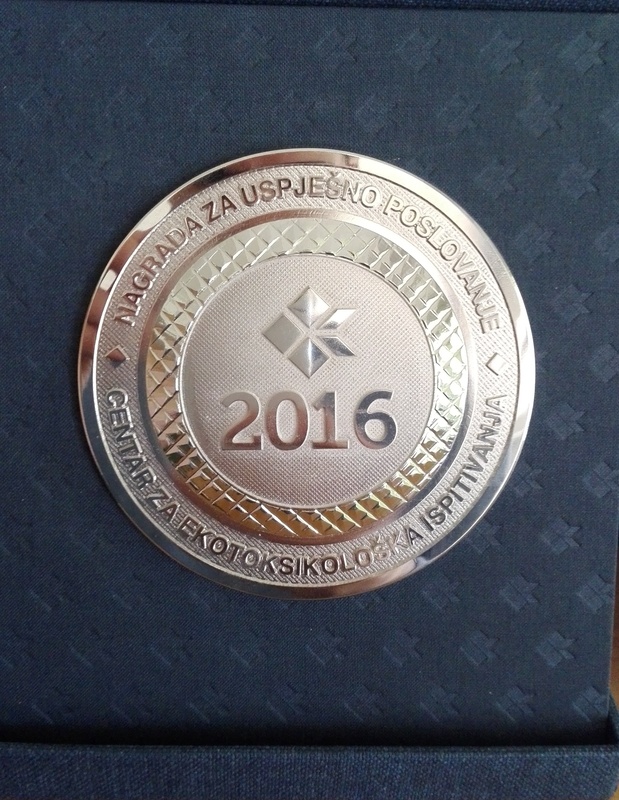 Ceremony was held on the Day of Chamber, and awards were handed by president of Montenegro, Filip Vujanovic. 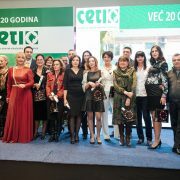 CETI won award for successful business in 2016, and in the name of CETI award received executive director Nada Medenica. 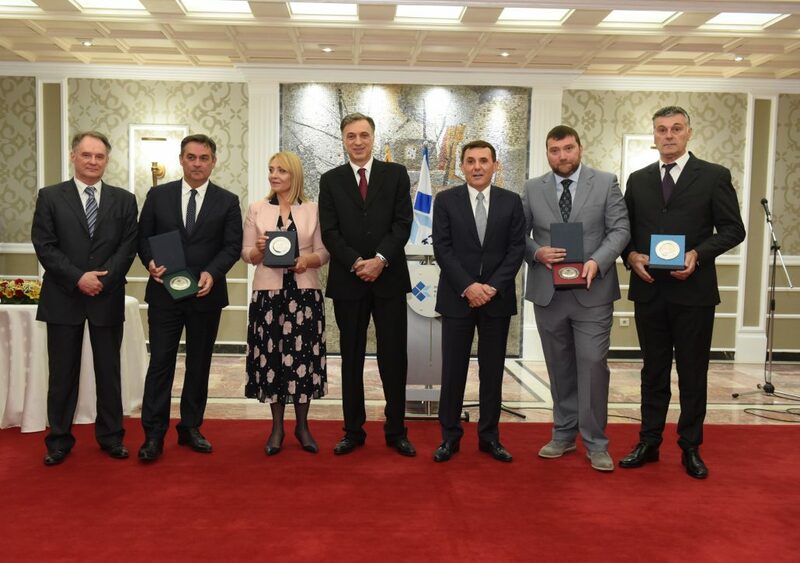 President of Montenegro congratulated to all laureates, recognized in this award their hard and successful work, and stated to continue hard work in the future and be good example for others to follow. According to him 2016 was a year in which businesses operated and created economic growth of Montenegro, with increase of GDP by 2.5%, in globally and regionally unfavorable conditions. President of the Chamber of Economy, Velimir Mijuskovic said that Award of this business association is most important and unique recognition in the field of economy, which dates as far back as 1969. 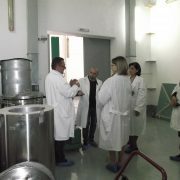 Speaking about laureates president said that Center for Eco-Toxicological Research profiled into renowned expert internationally recognized laboratory. 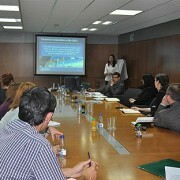 Respecting the highest standards of quality, which are used in business, CETI is carrier of many international projects. Achieved results by indicators that are defined as criteria for Award for successful business, show that CETI is company with exceptional perfomances. CETI is very proud for this exceptional award which represents the crown of successful work in 20 years since the establishment of our institution. It is important because Chamber of Economy, as an oldest and largest business association in Montenegro, recognized quality and good result of CETI and awarded us this prestigious award for successful business. Award fills us with pleasure and commitment at the same time. 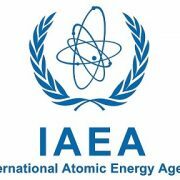 It commits us to do our work of control and protection, professionally and responsibly with reliability and quality which are referent for all the institutions such as ours, in the EU. 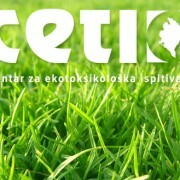 http://eng.ceti.me/wp-content/uploads/2017/04/DSC_3257.jpg 3967 5634 CetiEditor http://eng.ceti.co.me/wp-content/uploads/2014/12/logo-main-1-300x88.png CetiEditor2017-04-26 11:36:582017-04-26 11:38:58Chamber of Economy Montenegro awarded Center for Eco-Toxicological Research for successful business in 2016.